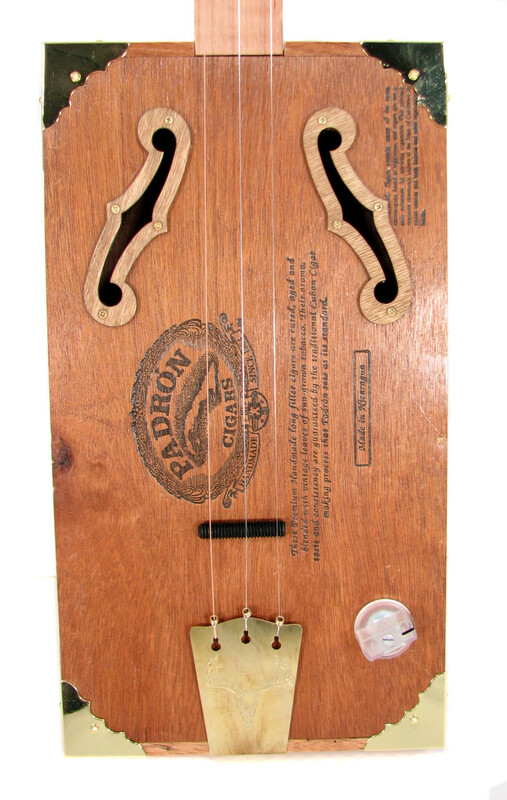 A Cigar Box Guitar (CBG) can range widely when it comes to decoration. 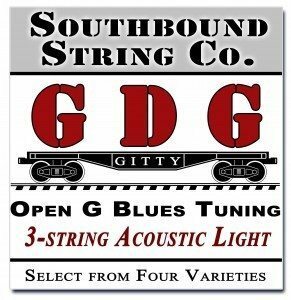 The most basic, primitive CBGs have very little decoration; reduced to its most basic form, a CBG is a stick, a box and a couple of strings, without any need for show adornment. While there is definitely nothing wrong with that austere simplicity, many builders enjoy adding some decorative touches to their builds. 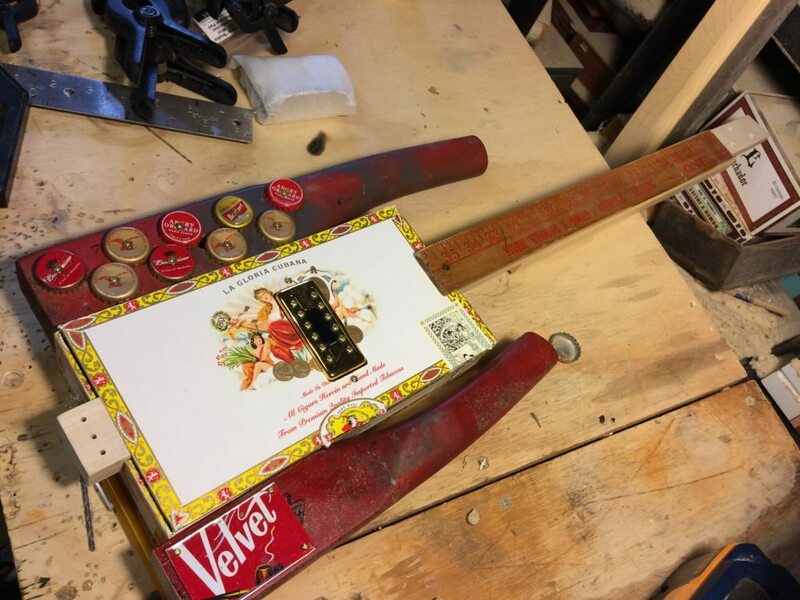 Many cigar boxes start off as pretty decorative pieces anyway, so it is natural to try to build upon that when creating a handmade instrument from one. 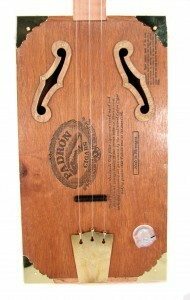 A Cigar Box Guitar (CBG) can range widely when it comes to decoration. The most basic, primitive CBGs have very little decoration; reduced to its most basic form, a CBG is a stick, a box and a couple of strings, without any need for show adornment. While there is definitely nothing wrong with that austere simplicity, many builders enjoy adding some decorative touches to their builds. 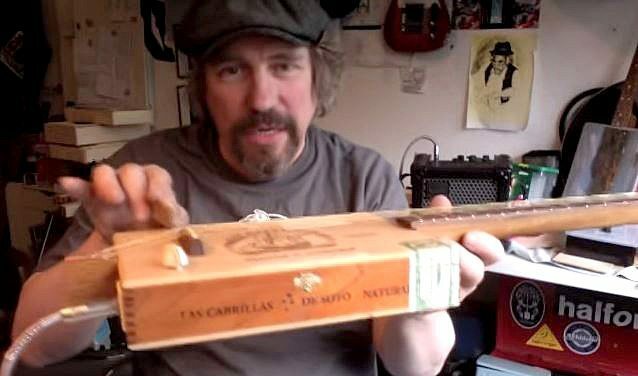 Many cigar boxes start off as pretty decorative pieces anyway, so it is natural to try to build upon that when creating a handmade instrument from one. 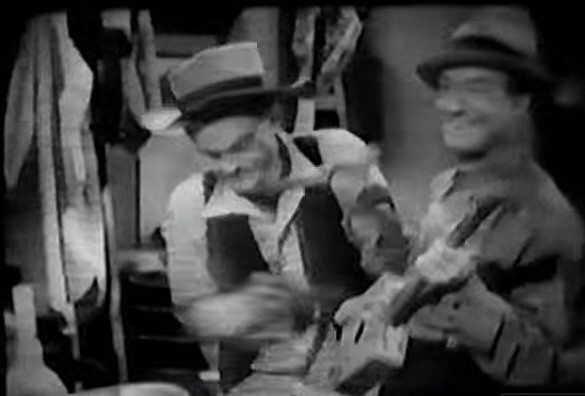 In this gallery is our collection of celebrities holding (and ideally playing) cigar box guitars. If you have any photos like this, please let us know! 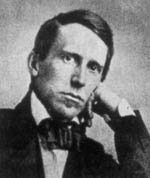 Click on any of the photos for a larger view and more info. This excerpt from the book “Creative Music for Children”, written by Satis Narrona Coleman and published in 1922, describes the author’s work with teaching music and musical instruments to children. 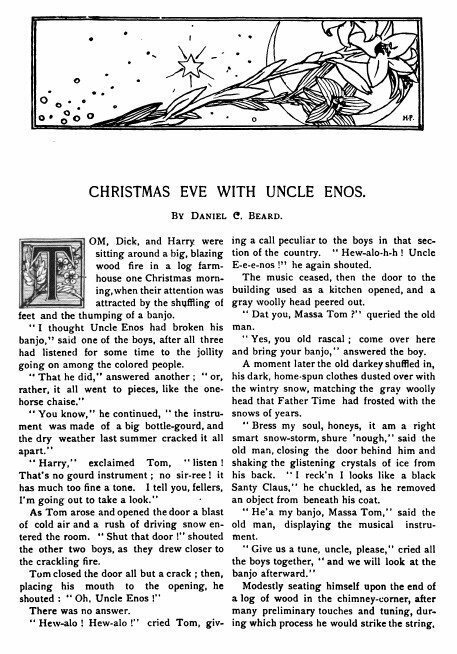 In this section she describes how the children crafted their own instruments, including a cello and violin, from various materials including cigar boxes.